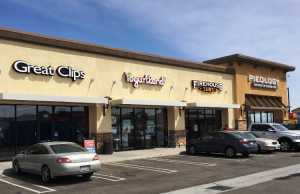 CORONA DEL MAR, CALIF. – (RealEstateRama) — Hanley Investment Group Real Estate Advisors, a nationally-recognized real estate brokerage and advisory firm specializing in retail property sales, announced today that the firm completed the sale of Upland Village, a 60,857-square-foot grocery-anchored shopping center in Upland, Calif. The sale price of $17.2 million represented a cap rate of 5.83 percent, a record low cap rate for a stabilized grocery-anchored shopping center in the Inland Empire. Grocery Outlet and Dollar Tree anchor the neighborhood retail center. Hanley Investment Group President Ed Hanley and Executive Vice President Bill Asher, along with the seller’s exclusive advisor Joe Miller, a vice president at Voit Real Estate Services of Anaheim, Calif., represented the seller, Outpost Village, LLC, based in Orange County, Calif. The buyer, a southern California-based private investor, was represented by Peter Loh of RE/MAX Realty 100 of Diamond Bar, Calif. and Paul Yang of RE/MAX Vantage of Eastvale, Calif. Built in 1972 on 3.92 acres, Upland Village is located at 110, 130, 140 and 180 Mountain Avenue, at the northeast corner of Mountain Avenue and West 8th Street in the city of Upland in San Bernardino County. The neighborhood shopping center was 100 percent occupied at the time of the sale. Grocery Outlet and Dollar Tree represent over 50 percent of the occupied square footage. “We procured multiple competitive and qualified offers and were able to close at 99 percent of the list price despite rising interest rates during the escrow,” said Asher. According to Asher, Grocery Outlet having a new long-term corporate guaranteed lease and Dollar Tree having occupied its space at the property for 10 years and recently exercising its five-year option, were key attributes to the asset that attracted a multitude of investors to the property. Hanley Investment Group Real Estate Advisors, a nationally-recognized real estate brokerage and advisory firm specializing in retail property sales, announced today that the firm represented the buyer and seller in the off-market sale of a 13,940-square-foot multi-tenant retail pad, shadow-anchored by a new Walmart Supercenter at 13325 Main Street in Hesperia, Calif. The sale price was $8.5 million, yielding a cap rate of 5.33 percent. 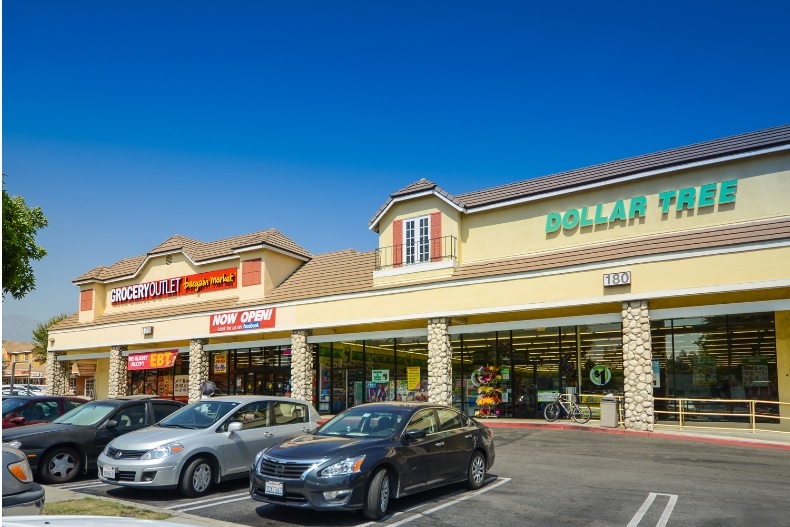 The transaction represents a record-low cap rate for a fully-leased multi-tenant retail pad over 10,000 square feet in the Inland Empire since 2008, according to CoStar.